They look pretty smug, don't they? Most Android users are still on Gingerbread and Google's latest figures show that Jelly Bean is growing at a glacial rate. 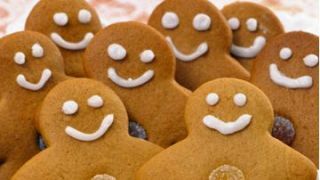 There's no major change from a month ago – Gingerbread use is down but only by 2 per cent, meaning that over half of Android devices still currently run a form of Android 2.3. Jelly Bean (4.1), the latest great white hope from Google's labs, is up only 0.6 per cent compared to the last lot of stats, and Ice Cream Sandwich (Android 4.0) has gained just under 3 per cent too. It may yet be early days for the newest Android version and Jelly Bean will become more and more prolific as people upgrade to newer handsets, but you'd think it would grow at more than 0.6 per cent a month. The other bad news for Jelly Bean is that Android 2.2 (that's Froyo, sweet fans) is way ahead of it, with 12.9 per cent of Android handsets on the aging OS and only 1.8 per cent on the newer one. You know what f-word iOS fans would use at this point, Android users? Yep, fragmentation – say what you like about Apple's handsets, but their unified approach means that updates roll out to everyone pretty darn quickly.